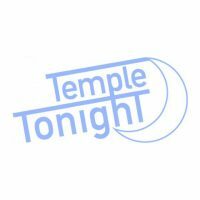 On Temple Tonight’s second episode of the semester, Jimmy and Bridget show off some interesting parts of their new set and get a visit from a member of the First Family! Later, local rappers WiLL and Coast of S.E.F.G. (Strive Everyday for Greatness) stop by to talk about their charity work and perform some of their songs. Plus, an alternative Oscars, Missed TU Alerts, and more!